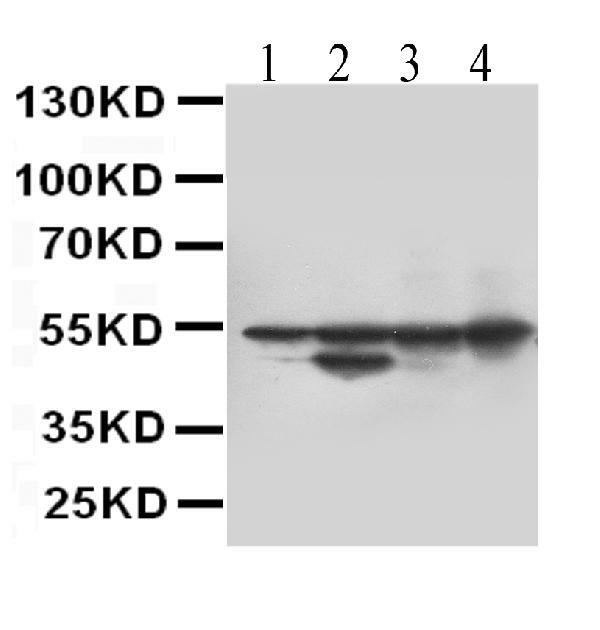 Mouse IgG monoclonal antibody for Desmin , desmin (DES) detection. 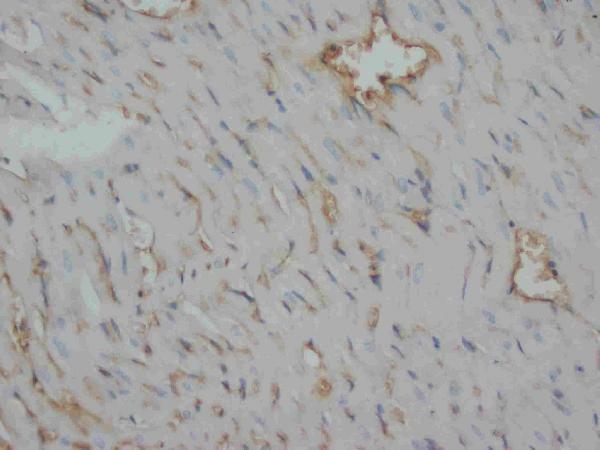 Tested with WB, IHC-P in Human;mouse;rat;rabbit. No cross reactivity with other proteins. 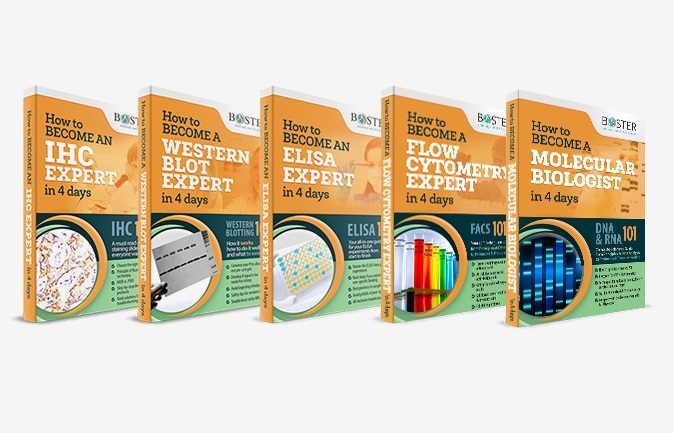 Boster recommends Enhanced Chemiluminescent Kit with anti-Mouse IgG (EK1001) for Western blot, and HRP Conjugated anti-Mouse IgG Super Vision Assay Kit (SV0001-1) for IHC(P). Cytoplasm, myofibril, sarcomere, Z line . Cytoplasm . Cell membrane, sarcolemma . Localizes in the intercalated disks which occur at the Z line of cardiomyocytes. .
Desmin are class-III intermediate filaments found in muscle cells. In adult striated muscle they form a fibrous network connecting myofibrils to each other and to the plasma membrane from the periphery of the Z-line structures. .
Desmin belongs to the type III family of intermediate filaments, a class of cytoskeletal elements. DES gene encodes desmin, a muscle-specific cytoskeletal protein found in smooth, cardiac, and heart muscles. Tidball(1992) found that desmin was codistributed with actin thin filaments within the cellular processes of myotendinous junctions in frog skeletal muscle. DES gene contains 9 exons and spans about 8.4 kb. By in situ hybridization, Viegas-Pequignot et al. (1989) localized the gene to 2q35. Desmin mutation responsible for idiopathic dilated cardiomyopathy. Wang W, Fan M, Zhang L, Liu Sh, Sun L, Wang Cy. Biomed Mater. 2009 Apr;4(2):025011. Doi: 10.1088/1748-6041/4/2/025011. Epub 2009 Mar 4. 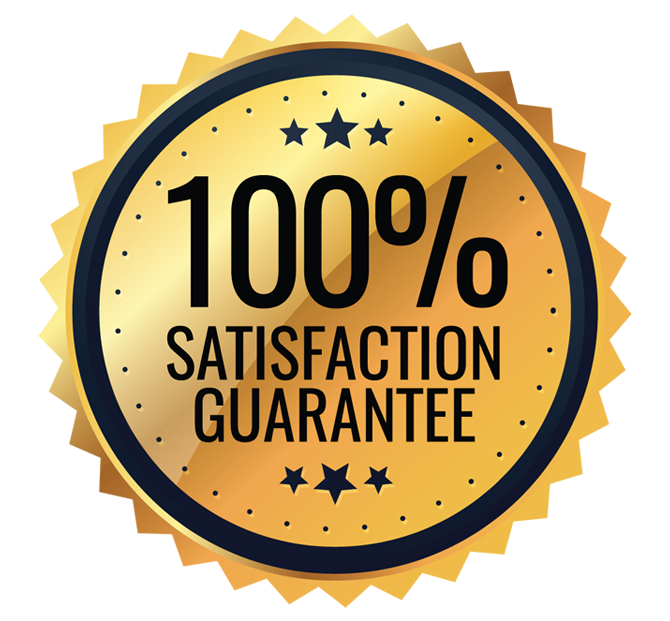 Compatibility Of Hyaluronic Acid Hydrogel And Skeletal Muscle Myoblasts. Chen S, Fang Z, Zhu Z, Deng A, Liu J, Zhang C. J Huazhong Univ Sci Technolog Med Sci. 2009 Dec;29(6):715-9. Doi: 10.1007/S11596-009-0608-0. Epub 2009 Dec 29. Protective Effect Of Sulodexide On Podocyte Injury In Adriamycin Nephropathy Rats. 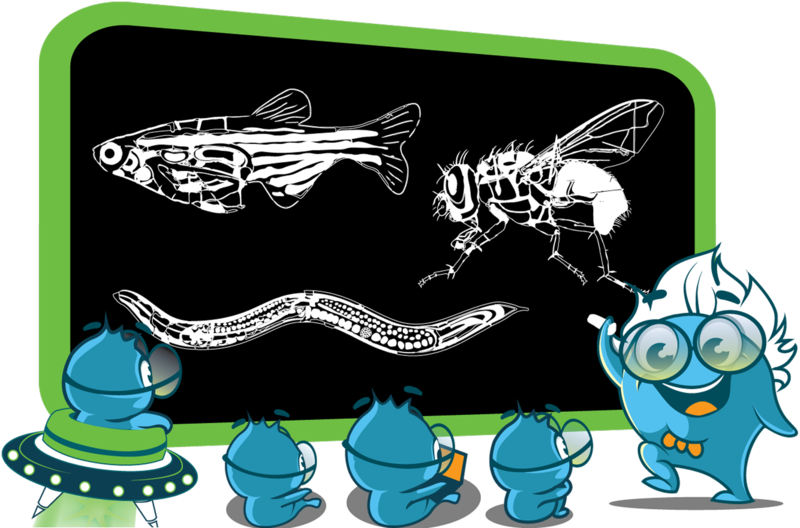 Liu J, Liu Y, Xu Y, Wang M, Zhu Q, Li W, Wang X, Liu J, Ma B, Wu K. Exp Mol Pathol. 2013 Feb;94(1):79-83. Doi: 10.1016/J.Yexmp.2012.10.012. Epub 2012 Oct 23. Neurotransmitter Noradrenaline Downregulate Cytoskeletal Protein Expression Of Vsmcs. Sondag Gr, Salihoglu S, Lababidi Sl, Crowder Dc, Moussa Fm, Abdelmagid Sm, Safadi Ff. J Cell Physiol. 2014 Jul;229(7):955-66. Doi: 10.1002/Jcp.24512. Osteoactivin Induces Transdifferentiation Of C2C12 Myoblasts Into Osteoblasts. Wang Xq, Yang Wj, Yang Z, Shu G, Wang Sb, Jiang Qy, Yuan L, Wu Ts. Plos One. 2012;7(3):E32537. Doi: 10.1371/Journal.Pone.0032537. Epub 2012 Mar 13. The Differential Proliferative Ability Of Satellite Cells In Lantang And Landrace Pigs. Yan J, Gan L, Yang H, Sun C. Mol Biol Rep. 2013 Apr;40(4):3197-202. Doi: 10.1007/S11033-012-2395-0. Epub 2012 Dec 29. The Proliferation And Differentiation Characteristics Of Co-Cultured Porcine Preadipocytes And Muscle Satellite Cells In Vitro. Gao Cq, Zhi R,, Yang Z,, Li Hc, Yan Hc, Wang Xq. J Cell Biochem. 2015 Nov;116(11):2637-48. Doi: 10.1002/Jcb.25212. Low Dose Of Igf-I Increases Cell Size Of Skeletal Muscle Satellite Cells Via Akt/S6K Signaling Pathway. Xu X, Qian H, Zhu W, Zhang X, Yan Y, Wang M, Xu W. J Mol Med (Berl). 2010 Nov;88(11):1181-90. Doi: 10.1007/S00109-010-0659-5. Epub 2010 Aug 10. Isolation Of Cancer Stem Cells From Transformed Human Mesenchymal Stem Cell Line F6. Pan X, Chen Z, Huang R, Yao Y, Ma G. Plos One. 2013;8(4):E60335. Doi: 10.1371/Journal.Pone.0060335. Epub 2013 Apr 1. Transforming Growth Factor ? ?1 Induces The Expression Of Collagen Type I By Dna Methylation In Cardiac Fibroblasts. Jiang R, Xu W, Zhu W, Chen M, Qian H, Qiao C, Yang H, Wang X, Chen Y. Oncol Rep. 2006 Nov;16(5):1021-8. Histological Type Of Oncogenity And Expression Of Cell Cycle Genes In Tumor Cells From Human Mesenchymal Stem Cells.